Exterior and interior views of the Alcatraz Island in San Francisco. The Alcatraz island was a federal prison from 1933 until 1963. 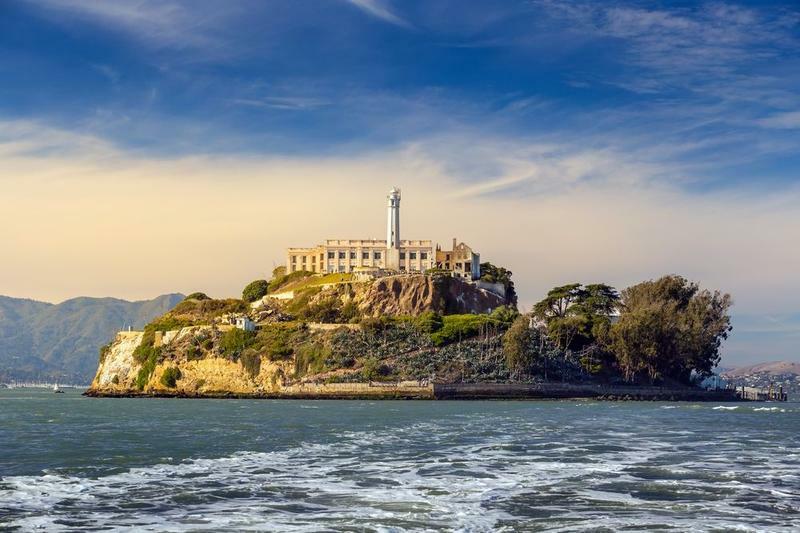 Fifty years after it closed permanently, Alcatraz remains one of the most well-known prisons in the world. It’s “the Rock”, the jail that inmates deemed to be uncooperative were sent to as a last resort. It opened its doors in 1933 with a staff headed by “iron men” whose focus was security as opposed to the rehabilitation of inmates. Notorious criminals came and went for the next 29 years bringing it infamy, intrigue and worldwide attention. However, it eventually closed in the 60s amid concerns of sanitation issues and building erosion due to saltwater exposure. Its closing ended a chapter in history that still piques the interest of the million tourists who visit it every year. Today, it just looks like an old building on an island, slightly foreboding with seagulls constantly circling above. Yet Alcatraz Federal Penitentiary is much more than that and always will be. It holds secrets behind its crumbling walls that will never be revealed, its former occupants having taken them to the grave long ago. However, some interesting facts about it are currently known, adding to the mystery that has surrounded it since it first opened. 1) It was discovered by a Spanish naval officer who named it La Isla de los Alcatraces, “Island of the Pelicans”. 2) In June 1962, three men escaped by putting papier machier heads in their bunks to fool prison wardens. They used an inflatable raft and disappeared, never to be seen or heard from again. 3) Before it became a federal penitentiary it served as a POW prison during the Civil War. 4) John Paul Scott was the only person known to have swam to the mainland. Scott used blown-up rubber gloves as a flotation device and greased his entire body with lard to avoid developing hypothermia. He was apprehended almost immediately, however and died years later at a different prison. 5) Some prisoners asked to be transferred to Alcatraz – each cell only held one person which provided a degree of safety for inmates. Safety in Tackles – What Does ‘Safe’ Even Mean?